A beautiful pomegranate plant characterises the entrance to these rooms, surrounded by vivacious Mediterranean plants, in a contemporary style with fine and well-defined lines. 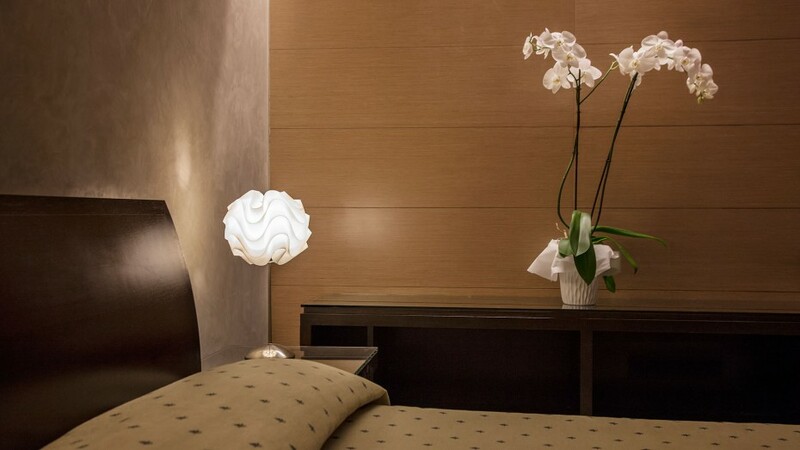 Located in the lounge garden, they are rooms in which the silence of nature reigns supreme. The Contemporary Triple Room is a double bedroom with the addition of a third bed. 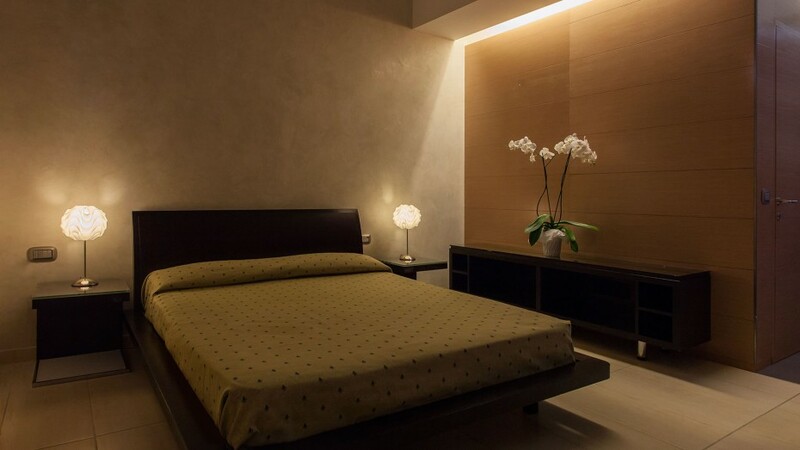 It has a bathroom with shower, hairdryer, direct telephone (reachable directly from outside lines with a personal telephone number), WIFI internet connection, safe box, ventilator, fridge, 26” LCD TV and air-conditioning. 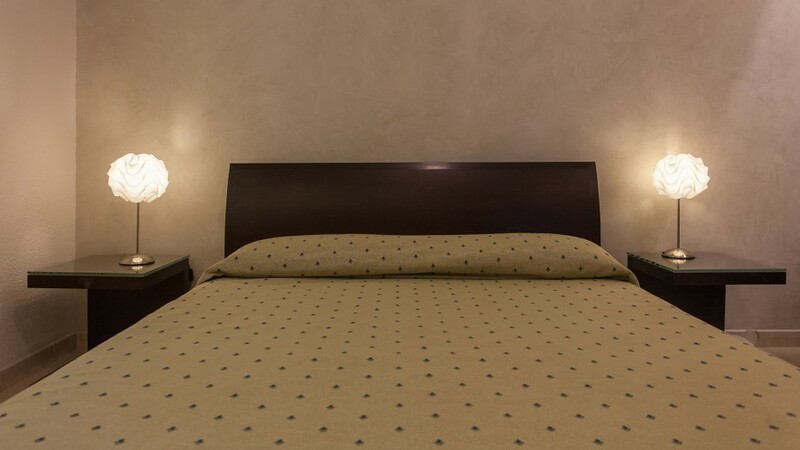 The Boutique Hotel Ilio is a scattered hotel. 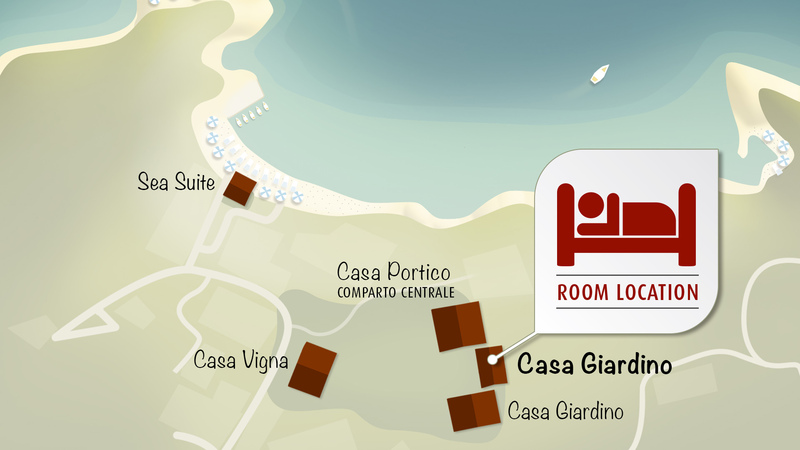 The Contemporary Triple Room is located in the Casa Giardino. The three-bed bedroom has a surface area of 18 square metres. Separate beds are available on request.